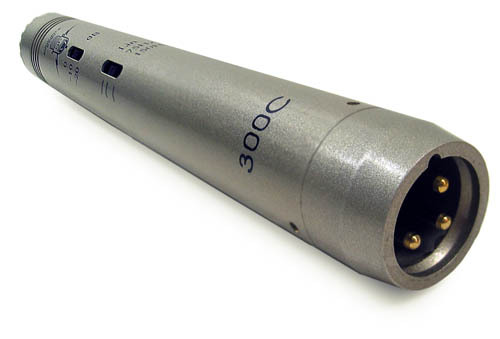 This is a pair of our 300C condenser microphones. This is a "quite good for the money" condenser microphone that can be effectively used as either an overhead cymbal drum mic, overhead choir mic, or acoustical wind or string instrument mic. 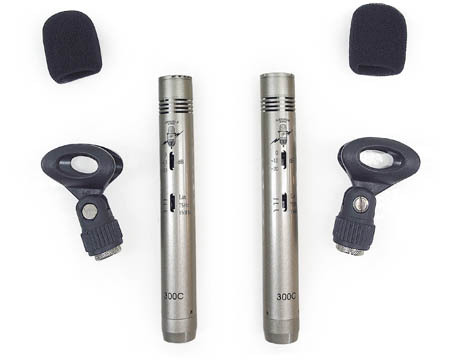 This mic is designed to accept a standard balanced XLR mic cord which plugs into the back, as shown in the picture below. This mic comes with a mic clip and wind screen. 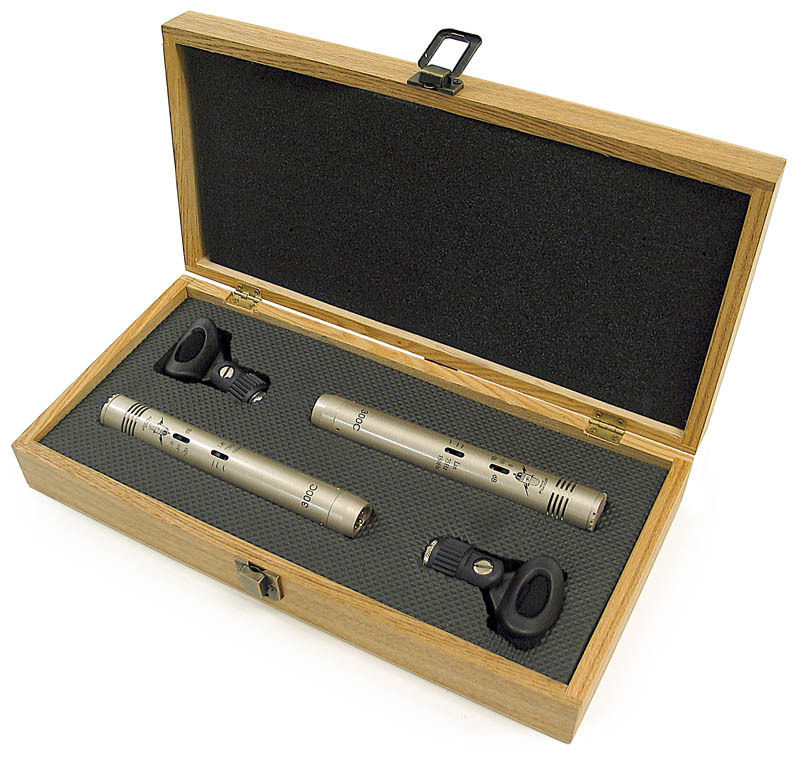 The mic comes packaged in a padded wooden box as shown below. No mic cord is included. 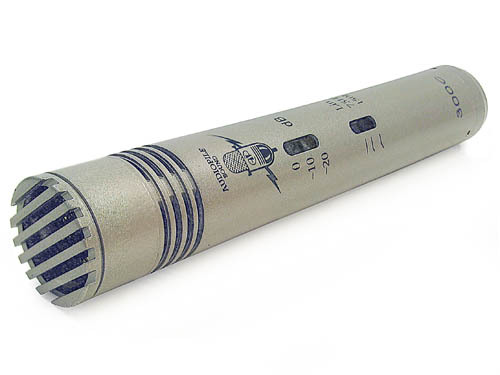 This is your basic workhorse of a condenser mic, it's built tough, it sounds and works good, and has some nice features. Fairly decent noise rejection and good polar pattern for overhead applications. Pair in wooden box: 4 lbs.